Can the Sharing Economy Work for Everyone? In 2011, Time magazine called the sharing economy one of the “best ideas that will change the world,” in part because of its potential to get more people participating in the economy. The five years since have given us a taste of the sharing economy’s capacity to generate opportunity at a time when income inequality has reached record highs and more people feel that the economy isn’t working for them. Today, thanks in part to the sharing economy, many people have more affordable and convenient options for transportation, housing, and goods through their smartphones. Peers can connect over digital platforms to share freelance labor or specialized knowledge. Sharing economy companies’ focus on enabling access instead of ownership, facilitating peer-to-peer connections, and accelerating the use of digital platforms holds a certain magnetism for those who see the sharing economy as a doorway to a more equitable and trusting society. However, the reality is that many people cannot take full advantage of the potential benefits of the sharing economy and instead face a new set of risks. A recent Pew Research Center study found that Americans with an annual household income above US$100,000 are three times more likely than those with incomes under US$30,000 to have used sharing economy services. Yet, recent research shows that low-income and underserved communities have the most to gain from the sharing economy. One frequently cited study on peer-to-peer car sharing revealed that it can have a disproportionately positive effect on lower-income consumers because they typically face more barriers to car ownership. So the question is: How can we harness the power of these innovative models to both generate business opportunities and expand access and benefits to those who have the most to gain from the sharing economy? Our new working paper, “An Inclusive Sharing Economy: Unlocking Business Opportunities to Support Low-Income and Underserved Communities,” produced in partnership with The Rockefeller Foundation, explores this question and identifies levers that will help build an inclusive sharing economy. The paper captures insights from more than 30 experts, stakeholders, and company representatives gathered through interviews and two convenings hosted by BSR and The Rockefeller Foundation. 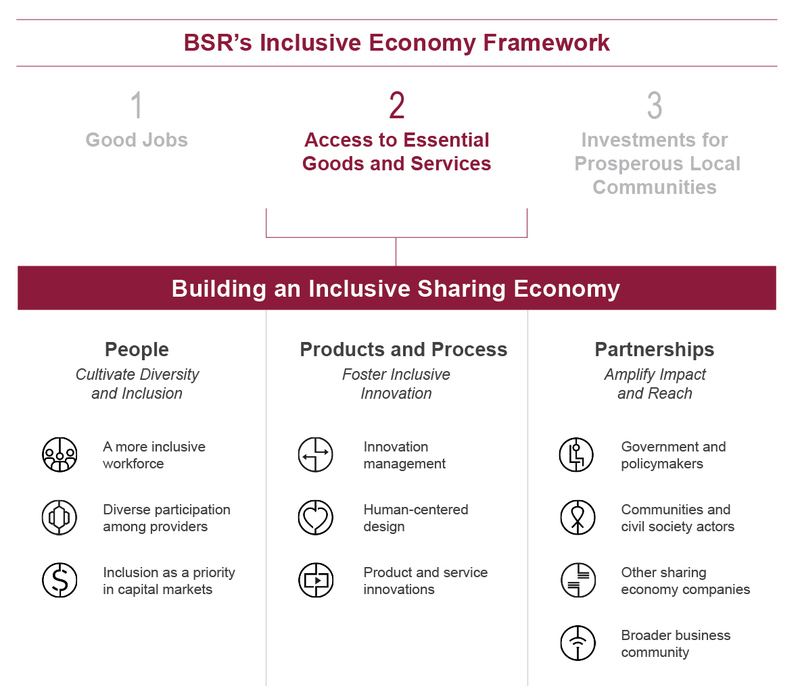 We used the BSR framework for an inclusive economy to inform our recommendations for how business can adopt inclusive business practices and craft a new economic narrative of how the sharing economy creates value for society. The paper is also a call for collaboration to establish a shared vision and set of principles and to tackle systemic barriers preventing more people from participating in the sharing economy. As the sharing economy expands and matures, companies face unexpected challenges such as regulatory pushback, algorithms and platforms that perpetuate or enable biases, and uncertainty and skepticism from communities. Many of these are the result of systemic issues that transcend individual companies. 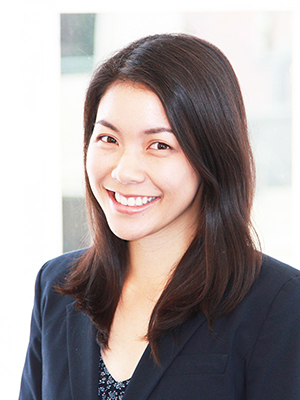 Collaboration can not only help address these challenges but also help maximize the value that innovative sharing economy models generate for low-income and underserved populations and, in turn, for companies as they seek to improve user acquisition strategies. Over the coming months, BSR and The Rockefeller Foundation will continue to engage sharing economy companies and stakeholders to drive collaborative action. We believe in harnessing the power of disruptive technologies and business models to create an inclusive economy where everyone contributes to and benefits from local and global economies. As the sector grows, sharing economy companies have to figure out how to go beyond being the “best idea,” per Time magazine, to transform the way our economy works and creates opportunities for everyone.